(Orlando, FL, USA – London, UK – Auckland, New Zealand, 18. October 2018) – Veovo, a leading provider of airport-based operational, revenue and customer experience optimization solutions, is pleased to announce that two outstanding industry players have joined the company’s North American operations. David Menzel has joined the team as Senior Market Executive for the airport industry market, while Eduardo “Eddie” Llado is the new Sales Manager for the tourism and leisure segment. 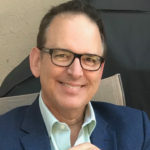 David brings a wealth of experience in business development and sales in the airport industry, coming from a background of enterprise development, start-ups and new market development. 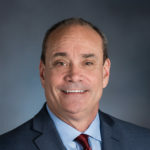 Most recently, he has held senior sales positions with air transport communications and information specialists, SITA, and Ultra Airport Systems. As the new Senior Market Executive for North America, Menzel will lead sales and the development of the Veovo partner ecosystem in the region. “I am looking forward to applying my knowledge and experience of the North American market, and to developing Veovo’s unique proposition to help airports tackle critical industry challenges in the region,” said Menzel. Eddie is a senior technology and sales marketing professional, with a significant track record in both domestic and international technical solution sales in the tourism and leisure segments. Most recently, he worked with Amadeus, providing business optimization systems in the hospitality industry. Llado’s responsibilities at Veovo will include extending Veovo’s presence in the North American market for sports stadiums, ski resorts, amusement parks and road traffic management. Veovo, a recently launched Airport Predictive Collaboration, is an amalgamation of the Airport 20/20, BlipTrack and Concessionaire Analyser solutions. Its predictive collaboration platform enables international airports, including JFK, Newark, Cincinnati and San Diego, to plan, predict, and perfect the airport ecosystem. Veovo is also implemented in optimisation efforts in world-renowned ski resorts and amusements parks, as well as in train stations, ports and road traffic. The Gentrack airport group, Veovo, is headquartered in New Zealand with offices in the USA, The UK, Denmark and Malta. Take off at www.veovo.com.